Read this article to learn what role in analytics plays in Growth Marketing and how to configure it to make better, more informed decisions. The days of account-based marketing and the notion that new customers are the only thing marketers should care about are long gone. Today’s companies know that achieving and maintaining constant growth means paying enough attention to every step in their customer’s journey, especially to their existing customers. Because growth without retention isn’t growth at all. Seems like customer retention (also known as customer lifecycle marketing) is the way to go, right? Many of those seeking to cultivate this approach start using growth marketing tactics. Why? Simply because those two approaches seem to be a match made in heaven. Growth marketing is the process of testing acquisition and retention strategies aligned with frameworks that evaluate and measure the potential outcome of an experiment based on cost, time, and expected result. More so than traditional marketing, growth marketing focuses on maximizing the lifetime value of a customer at all stages of the customer journey while minimizing the cost and time it takes to do it. This makes it a perfect complement to customer lifecycle marketing. 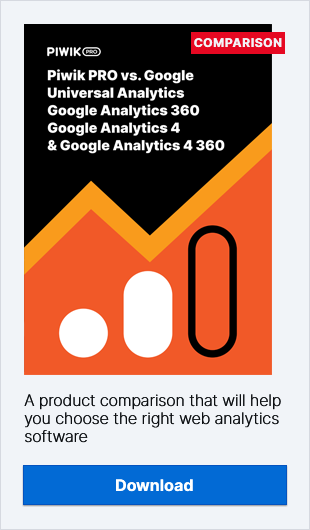 However, before we proceed to the details of incorporating web analytics into your growth marketing, we need to get one misconception out of the way. Growth marketing is often referred to as growth hacking. The word hack represents a quick win or a shortcut. In this context, hacking implies that you can apply a simple formula and expect sustained growth. Unfortunately, many growth marketers still prefer to believe that a change of one word on one button can deliver a payoff of millions. However, there are no easy or one-size-fits-all tricks when it comes to acquiring and retaining customers. And those who boast having some of those tricks up their sleeve should be considered growth charlatans, not marketers. It’s rather a complex task consisting of many steps which should be repeated continuously in order to deliver tangible results. Also, almost every department of your company should be involved in it. The more it is systematized and documented, the greater the chances that over time the effectiveness of our efforts will increase. In turn, improvements will cost you less time and money. And due to the complexity of the whole affair, it’s often referred to as the growth marketing process. The formula for the growth marketing process varies across experts and companies. We want to give you an example we’re convinced is thorough and reliable. One of the most popular frameworks is the G.R.O.W.S process introduced by Growth Tribe. One of the top tools used at the ideation stage is web analytics. It serves to detect the underperforming areas of your website or mobile app, missed opportunities, and low hanging fruit. Of course, it’s not the only way to come up with ideas. That said, it’s definitely one of the most important ones. It gives you insights into how your visitors behave on your website. Additionally, it allows you to collect valuable ideas you can further use in your experiments (like A/B tests). Do your visitors use search? Does your website underperform on certain devices or software? Where do your users leak from the funnel? Which promotions are most effective? How many people abandon their shopping carts? And let’s not forget about some of the low-hanging fruit we’ve mentioned earlier. With this tool, you’ll be able to capture the most obvious and easy-to-fix errors driving down conversion on your site. For example, you will notice that your website does not work properly on Internet Explorer, or that some subpages need over 10 seconds to load. You will also effectively track all broken links spoiling your site’s reputation. Although almost everyone uses analytics, it’s not a given that everyone does it right. That’s why it’s worth checking whether it really provides us with data that will be useful in the growth process. If you don’t have such certainty (for example, you only check the sources of traffic and you don’t drill down), it’s worth taking a few steps back and rethinking what data you want to capture with your tool. 1) What are your business goals? The first step would be pinning down your business objectives. It’s crucial to emphasize that these goals may vary depending on the needs of your company and the demands of stakeholders involved in the process. For a Customer Success Manager that might be the net promoter score, while the UX department might be much more interested in task completion rates. However, whatever goals you pick, you have to make sure that they’re easy to understand and measure. Otherwise, it will be hard to pair them with accurate KPIs and metrics (we’ll talk about that more later on). Example: Let’s say you operate in the travel business (you’re a travel agency). Then your business goal would be, for instance, to increase the sales of your trips or coach tours. 2) How do you define your website goals? You have to remember that your website goals – just like your business goals – should be expressed as simply as possible. You should also make sure that they’re accurately set up in your web analytics instance. 3) And what about Key Performance Indicators? Key performance indicators (KPIs), sometimes also called key success indicators, are metrics observed by businesses in order to check their performance against their goals. It’s your KPIs that hold the key to identifying and introducing improvements to your website’s performance. If you have proper KPIs and review them periodically, you will keep your strategy on track. Example: Your travel agency wants to sell more coach tours. Then your KPIs could be the number of tours sold online. How to Report Your KPIs in Piwik PRO to Capture Your Website Performance? 4) What are your target metrics? Now it’s time for the last step. If you want your KPIs to be relevant, you need to pair them with reliable target metrics. Otherwise, you won’t be able to tell if your efforts are bringing any tangible results. This rule applies to every KPI – each one of them requires its own target! Example: For our travel agency, the target metric could be 123 monthly online sales of coach tours. Thanks to the framework presented above you’ll make sure that the data collected by your web analytics instance is relevant to your business goals. However, you have to remember that this process must be repeated every once in a while. Goals, KPIs, and metrics need to be updated from time to time to reflect your needs and really contribute to the growth process. Advanced segments help you slice and dice your data into meaningful groups of visitors that can be analyzed based on their behaviors. The goal of segmentation is to take your full website population (100% of visitors) and break them into smaller but more meaningful buckets of users to analyze. Important tip! We recommend looking at segments that cover 5-50% of your population. Any less than that and the population is too small to be actionable. More than 50% and your segment will essentially represent your entire population. What are some segments you can apply? Traffic sources, demographics (age, gender, and interests), mobile vs. desktop, goals, sales, location, browser, ISP, existing customers vs. prospects, etc. This extremely helpful feature allows you to identify the main bottlenecks on the road to goal conversion. That’s where implementing conversion funnel reporting comes in handy, and it’s quicker and easier than you might think. For instance, in Piwik PRO, to define a new funnel, visit the Goals > Manage Goals page and add a goal. When the Funnel Analytics feature is activated, you will see a new section at the end of the form. Which visitor segments are responsible for the highest drop-off rates in my funnel? What can I do about it? Is my sales funnel optimized for mobile visitors? Is it as user-friendly on mobile as on desktop devices? Is there any traffic source that is generating a high number of drop-offs in my funnel? Should I reconsider my traffic acquisition strategy? Are there any regions or cities that have higher than average drop off rates? Should I exclude them from your campaigns? User-centric reporting provides you with deep insights into a visitor’s individual behavior by summarizing and listing their visits. It takes information about them to compose Visitor Profiles, which you can use to prepare individual profiles for the most important segments of your website’s visitors. Ultimately, user-level reporting helps to tie buyer personas to real users, allowing us to uncover the entire journey customers take on our website. We hope that the tips we’ve given you will allow you to generate more actionable experiment ideas from your web analytics reports. As we’ve said before, although this is not the only source of valuable information about your visitors, it’s extremely useful in the growth marketing process. So it’s really important to configure it correctly. However, we’re aware that these issues may require some further explanation. As always, remember that if you have any questions, don’t hesitate to contact us! Our team will be happy to help you out!